Cradley Heath Heathens track in the distance. 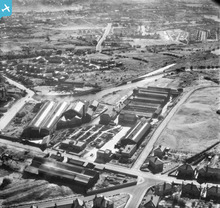 Pits to the left in this image. 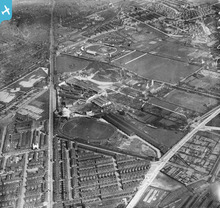 The famous Belle Vue tarck in Manchester with Kirkmanshulme lane track in the background. 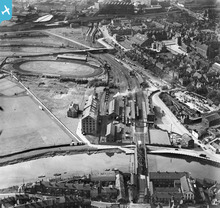 [WPW029426] View of Cardiff showing Welsh White City Stadium, oblique aerial view. 5"x4" black and white glass plate negative. 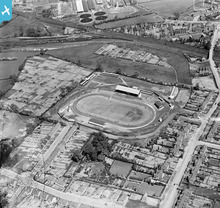 Plough Lane, Wimbledon. 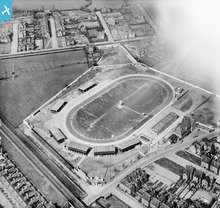 One of the finest stadiums in the Uk to host speedway racing. 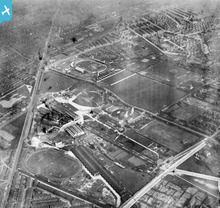 Home of the "Dons" and the venue for the famous "Internationale" events. 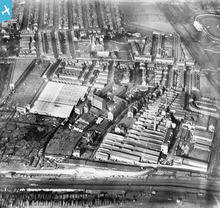 I remember the track behind Gartons Seed Warehouse Being a Speedway and at a different time as a Greyhound Track. Unfortunately I do not remember when I saw the events. Top right. 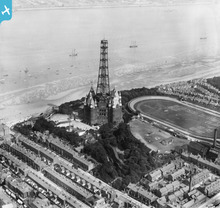 I think this is the Stanley Track in Liverpool. 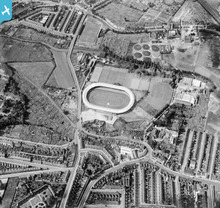 Blackbird Road Stadium Leicester. Built in 1928. 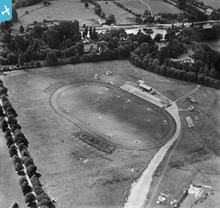 The first greyhound meeting was held in May 1928 and dirt-track racing was introduced in September of the same year. 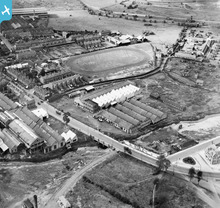 The Greyhound Track on Kirkmanshulme Lane and the famous track within the Zoological Gardens on Hyde Road have both been home to Belle Vue Speedway since 1928. 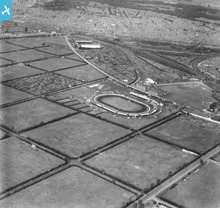 Greet Motordrome was built by the Birmingham Motor Cycle Club on top of an old rubbish tip in 1928. The track was only used for a few meetings. James tested their v-twin dirt-track bike on the Greet track in 1929. 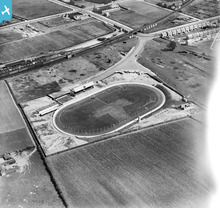 Speedway was held at Long Eaton Stadium from 1929 until 1997.